NOTE: Don’t forget to check out the Top 100 Prospects for 2016 while you’re here! Bogaerts may be on his way to a top 20 finish – this spot is a steal if you get him here. 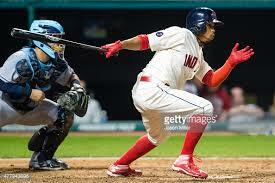 Russell is a star in the making, who won’t be overshadowed by Bryant and Schwarber for too long. Pederson collapsed after the HR derby in Cincinnati. He’ll get back on track in 2016. The Los Angeles Dodgers struck out on re-signing Zack Greinke, allowing the 32-year-old to take his NL-leading 1.66 ERA and 0.84 WHIP to the division-rival Arizona Diamondbacks, who locked up Greinke’s golden locks with a massive six-year, $206.5 million deal. The Dodgers added some rotation depth by taking a risk on Scott Kazmir, whose career rebound hit a snag when he hit a wall in September, going 0-2 with a 6.93 ERA and 1.74 WHIP over his final five starts and 24.2 innings; however, the 3.10 ERA and 1.20 WHIP over 183 innings over the 2015 season may have spoken louder to the Dodger brass than his collapse in Houston. Then, the Dodgers added Japanese, right-handed sensation Kenta Maeda, who signed an eight-year, $25 million deal, which was loaded with incentives, leading to a possible $100 million-plus deal. Kenta Maeda’s #Dodgers contract: $1m signing bonus, $3m/year for next 8 years. No opt-out. No no-trade. Incentives could take deal >$100m. Maeda, who had a 2.39 ERA and 1.05 WHIP over eight seasons and 1,509.2 innings in Japan, was given an incentive-laden deal due to some issues that came up with his physical. While the Dodgers still paid the $20 million fee to negotiate with, and eventually land, the 27-year-old, the elbow issues that scared Los Angeles into this type of offer may have been worrisome to other teams, as well. This deal speaks to Maeda’s willingness to prove himself, but it also could speak volumes for teams and players in the future. The “Prove-It” contract has been around for quite some time, as the good ol’ “never-met-a-bad-one-year-contract” folks will approve of. It’s why the Indians giving Kazmir a look for much less than the three-year, $48 million that the Dodgers paid was so brilliant back in 2013. But there is brilliance on both sides of this contract. For the player, you are guaranteeing yourself much less than the market value; however, if you are healthy and productive year after year, you are handsomely rewarded. Additionally, for those who are locking up years of arbitration, there is no risk of being non-tendered due to an injury, as your team would have to release you and eat the remaining guaranteed seasons if they didn’t want to maintain your spot on the 40-man roster. Would Trout have taken an incentive-based deal? Sure, the guaranteed money is what makes the Major League Baseball contract so welcoming to the player and so damning to the teams, but, in today’s financial market, isn’t $7.5 million chump change? Teams are willing to give lesser players $14.8 million per year on one-year deals as qualifying offers to land an additional draft pick. Incentives could end of suffering of teams and fans over declining players with long-term deals. The teams, while taking the financial risk, also protect themselves from paying someone, like Ryan Howard, huge annual salaries when they aren’t producing at the levels necessary to be worthy of such a deal. Yes, teams are content with getting a WAR of 28 from the first three seasons of a Mike Trout-type of player for roughly $1.8 million dollars in salary, but wouldn’t it be nice to know that you could have that player into his prime on agreed to incentives into his early 30s? Imagine if the Braves had given Jason Heyward, who just received $184 million over eight years from the Cubs, a deal similar to this. During his productive seasons, he would have earned more money, while the arbitration period wouldn’t have been able to look at one or two very good seasons to say that he was worthy of such significant raises to price him out of the team’s future. With the top players in the league earning more than $30 million per season, there is certainly a reason for the Player’s Union to avoid this type of commitment. There isn’t a reason for the top players to earn $20 million with incentives when they could guarantee $30 million per year, right? This would give teams and owners too much power; however, there are positive risks involved on both sides. Can Maeda’s contract change the way that teams negotiate contracts? I think it may be better for the game to reward players for production in this way, while not forcing fans of the Phillies to watch Ryan Howard collapse for $25 million per season and strangle the financial side of the franchise for years to come. With so much money available through television contracts and MLB Advanced Media, maybe it is time for the league, the owners, and its players to find new, creative ways to utilize it…without a salary cap. It has been far, far too long since I last wrote on this blog. That’s just the way that it is when life gets in the way of entertainment. With the postseason and offseason on the way, I hope to provide my typical prospect list, while finding creative ways to update transactions and preview the 2016. However, we aren’t there yet. The 2015 season has had a lot of interesting tales. From the Chicago Cubs and their Joe Maddon-led youth movement to the New York Mets shutting down opponents and gloating in the Nationals complete collapse, the season has been full of drama. Arrogant relievers trying to choke superstars (Jonathan Papelbon vs. Bryce Harper) and the redemption of a fallen star (Alex Rodriguez) were also quite entertaining. With the season wrapping up, I have the awesome opportunity to vote in the Internet Baseball Writers Association of America (IBWAA) Season Awards ballot. Let me know what you think in the comments or contact me via Facebook or Twitter! As we reach the All-Star break, the season has surpassed its halfway point, and we have a pretty good idea of how the league and teams stand. With so many teams contending, 26 of 30 teams are within eight games of a playoff spot, it should be an exciting finish to the 2015 season. However, individual talents continue to shine, with many surprising players atop statistical leaderboards. So, who are the halfway heroes of 2015? 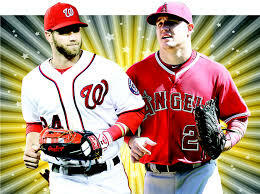 Harper and Trout/Trout and Harper. They’re young and fantastic. 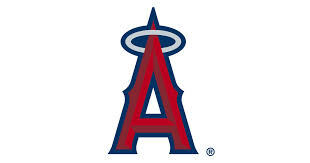 He doesn’t have the .350 batting average or 1.034 OPS of Miguel Cabrera, but Trout is doing his thing once again in 2015, showcasing his ability to hit for power and produce for the Angels. 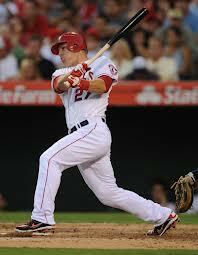 Trout has combined with Albert Pujols to provide the Angels with 50 home runs and 106 RBI in the first half. While Trout isn’t running like he used to (just nine stolen bases), he continues to redefine what teams can expect out of their young talent. Trout, who doesn’t turn 24 until August 7, has already accumulated more WAR than long-time veterans like Victor Martinez, Ryan Zimmerman, Aramis Ramirez, and Alex Gordon. The sky continues to be the limit for this superstar. Trout and Harper. Harper and Trout. They’ve always been linked as gifted, young talent, but this is the year that they’re both healthy and producing side-by-side. At 22, Harper has mutated into a powerful, muscular, athletic freak, who leads MLB with his .471 on-base percentage, .709 slugging percentage, 1.181 OPS, and 5.7 WAR. The Nationals will continue to be led by their young superstar, while hoping to get and keep Anthony Rendon, Jayson Werth, Stephen Strasburg, and Ryan Zimmerman healthy and in their lineup. 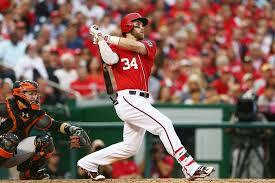 Even without them consistently around, Washington and Harper sit atop the NL East. 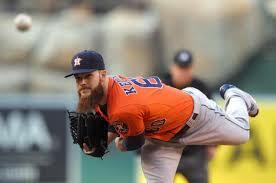 He doesn’t have the wins or ERA of Astros’ LHP Dallas Keuchel, but Sale has been the most dominant starter in the AL. Just a strong gust of wind from being blown halfway into Lake Michigan, the skinny southpaw has racked up an 11.78 K:9, 2.80 ERA (2.31 FIP), 0.94 WHIP, and .205 BAA. Chicago is in last place in the AL Central, but they are just five games out in the Wild Card and have enough pieces to figure things out, riding the left arm of their ace every fifth day. 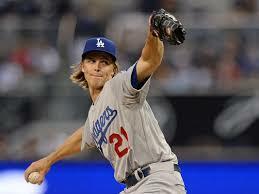 Greinke or the lead singer of Hanson? With an ability to opt-out of his contract at the end of the season, Greinke chose an opportune time to become an unhittable wizard for the Dodgers. His 1.39 ERA is over a half-run better than the 2nd place A.J. 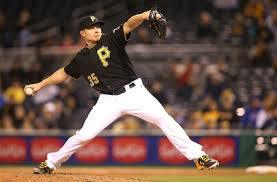 Burnett (1.99 ERA), and he has 35.2 consecutive scoreless innings. 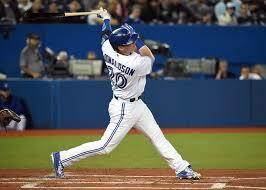 His 0.84 WHIP, second to Washington RHP Max Scherzer (0.80), and .191 BAA, detail his dominance further. Can he catch Orel Hershiser‘s record for consecutive scoreless innings? We will see after the break! He’s going to have a difficult time winning the award with his teammate, SS Carlos Correa, lurking in the end-of-year selection process. However, to this point, McCullers has been the most impressive AL rookie. His 2.16 ERA (2.72 FIP), 9.41 K:9, 1.10 WHIP, and .203 BAA are what have made the 21-year-old right-hander such a dynamic addition to the first place Astros’ rotation. Along with Keuchel, McCullers will try to fend off opposing batters down the stretch, firing his electric fastball and knockout punch slider along the way. 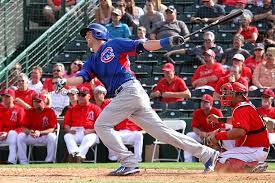 Bryant earned an All-Star bid after hitting .272/.380/.473 with 12 home runs and 50 RBI, as he takes his spot as Savior for the Cubs franchise. Along with first baseman Anthony Rizzo, Bryant will form a dynamic duo of mashing talent in the heart of the Chicago order, and, while the 96 strikeouts may say otherwise, he has proven that he isn’t overmatched by MLB pitching. Look for more of the same, as this 23-year-old continues to make adjustments and show his skills for the Wild Card-leading Cubbies. This wasn’t the year that Sports Illustrated said that Houston was going to compete, but Hinch has led this group of young, talented players to the top of the American League West after winning just 70 games last season. The players play the game, so Hinch may not deserve all of the credit, but he seems to be pulling the right strings to this point in his brief managerial career. Can they continue at this pace? With Correa, McCullers, Jose Altuve, and Keuchel, they have a core of talent that many other teams are envious of, and they’ll eventually get George Springer back to make them that much more electric. When you’ve been outscored by your opponents (297-305), even though your starting staff has a 3.45 ERA (7th in MLB), and your team is still above .500, you know that you’ve done a solid job. Terry Collins was given absolutely NOTHING for his everyday lineup this season, and with David Wright missing all but eight games of the season, you’d think that they’d struggle to stay afloat. 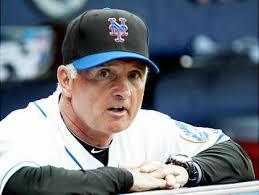 However, the Mets are just three games back of Washington in the NL East. New York has an incredibly gifted group of young pitchers, as Matt Harvey, Noah Syndergaard, and Steven Matz (who will miss a month with a muscle tear after dominating in his first two starts), and Jacob deGrom share their rotation with fountain of youth eating Bartolo Colon, to give the club a chance to win each night. Collins gets what he can with the cards that he has been dealt, and he deserves a lot of credit for that. 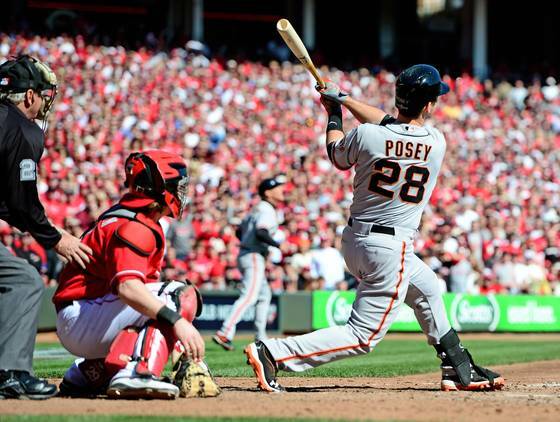 Will Posey tire down the stretch due to playing 1B on off days behind the plate? 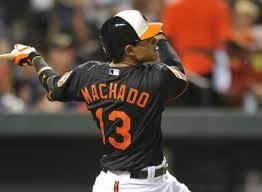 What is Machado capable of healthy? 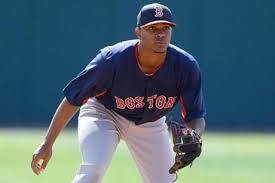 Bogaerts could be had cheap due to his post-hype drag. Buy him. 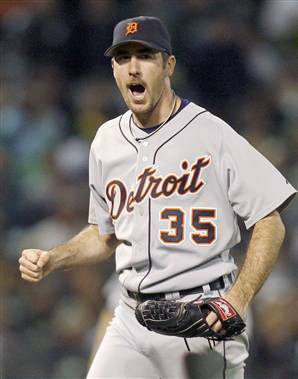 A full offseason and Kate Upton could lead to Verlander’s return to grace.